From Ed Rempel’s perspective, there’s way too much conventional wisdom out there when it comes to financial and investment matters, and way too many people both spout it and buy into it. It’s a problem that can cause consumers to be unprepared financially to handle the roadblocks that life can throw their way, he says. That’s in part because conventional wisdom is not necessarily the most up-to-date or accurate information to rely on. 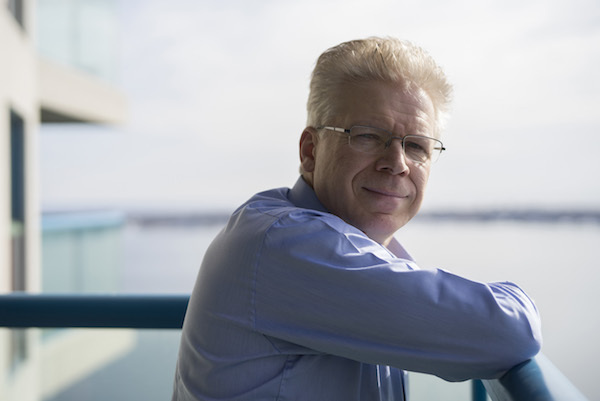 Ed Rempel has been countering financial conventions since 1993. His aim, then as now, is to help Canadians understand that real financial planning goes beyond telling clients to get into investment products because they are hot or highly touted by the financial press. What conventional wisdom does he particularly warn against? One piece comes from experts who tout a correlation between the economy’s performance and what it spells for the stock market. He points out that there is absolutely no proof of relativity between them, as the numbers show, adding that a good investment manager focuses on the long-term value of the holdings he or she manages, not the economy. Another revolves around the long-term returns of stock market – which are far more consistent than conventional wisdom might suggest. Ed Rempel is a CPA and a fee-based financial planner who writes and is frequently quoted on investment issues and trends. He is an experienced financial planner and is a member of the Canadian Institute of Financial Planning. Registered investment advisors like Rempel have a fiduciary responsibility to act in their clients’ best interests and accept no compensation based on product sales. It’s one of the differentiators that should guide individuals when they are looking for investment advisors. That includes business owners and entrepreneurs at every stage of their business’ evolution, Rempel explains. What do you believe are some basic financial steps that entrepreneurs should do a better job of focusing on as they lay the groundwork for their new business endeavor – before they open their doors? Ed Rempel: Being an entrepreneur involves experimenting and finding your own way. However, you need to know that your business is viable and setup properly. Entrepreneurs should create at least a simple business plan and get some financial advice. I have seen many examples of obvious mistakes. I have seen new businesses with the product or service sold at such a low price that there is no money in it. I have seen some not incorporate when their business does require protection, some where the ownership is not clear, and many businesses not setup to minimize taxes. Entrepreneurs typically have some sort of financial advisor in their back pocket when they start up, to keep them on track with issues like taxes, balancing the books and financial forecasting. Do they typically, however, also get – or need guidance — on the investment side? Why/when does this side of the coin become more pressing? Ed Rempel: Entrepreneurs want to save for their retirement, like everyone else. They have a tendency to think that selling their business will provide for their entire retirement. It is very risky to bet your entire future on it. Once their business provides more than their basic needs, they should get a retirement plan to figure out how to have the future they want. In addition to the salary/dividend issue, whether to invest inside their corporation, and how much they need to save, their plan should include diversifying a retirement portfolio with other investments. You talk about conventional versus unconventional wisdom for individual investors. What do you believe is some of the most problematic conventional wisdom for business owners, and particularly entrepreneurs, and why? Ed Rempel: I am always shocked how many entrepreneurs want to keep their profits sitting in cash inside their corporation. Their business involves risk and they don’t want to risk their profits. They end up missing out on the huge benefits of compounding their growth and diversifying their investments. Investing in growth retirement investments involves a risk you cannot completely control, but it is a huge opportunity to compound your growth and build the retirement nest egg you need. If there is one piece of advice you would provide the entrepreneur trying to get his/her financial house in order that no one else is likely to bring up, what would it be? Ed Rempel: Entrepreneurs need a personal financial plan, especially a retirement plan. Most are focused on their business, but do not have a clear exit strategy. They started their own business for freedom, but it’s surprising how many plan to work until they die. Developing a succession plan or structuring your business to sell for a good price are very different from just running your business. Most entrepreneurs have not even begun to think about how they will retire in the lifestyle they want, how much they will need, and how to get there.